The SQUIX 4 MT are the further development of A4+T. 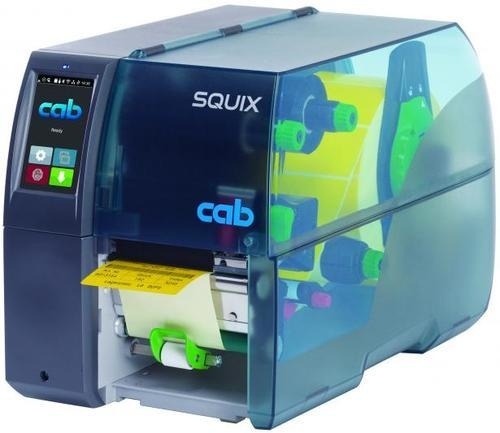 The professional SQUIX label printers fit with a wide range of industrial applications. They have been developed with focus on easy and convenient operation and high reliability. At high heat energy the ribbon can stick with the textile tape. A roller reliably separates the material from the ribbon. It is also possible to print on labels or continuous materials that are wound on rolls or reels. As regards the label width, no adjustment of the plungers is needed. Width-adapted print rollers are provided for slim materials.